If you fly American Airlines frequently, the CitiBusiness AAdvantage Platinum Select World Mastercard makes it easy to earn free flights and airline perks. On the downside, the rewards program redemption options are restrictive, so this card may not be a great choice if you need more flexibility. But given the relatively low annual fee, the CitiBusiness AAdvantage Platinum Select World Mastercard can quickly recoup its cost thanks to priority boarding and free checked bags. Of course, the CitiBusiness AAdvantage Platinum Select World Mastercard isn’t for everyone—even for frequent AA flyers. 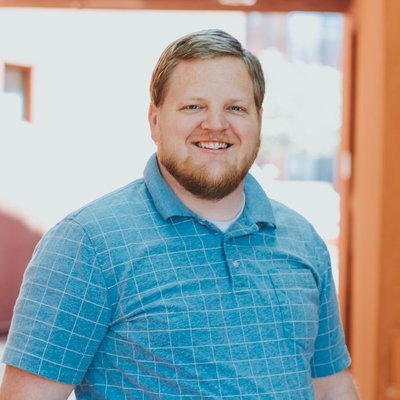 It’s definitely worth your time to try out the CardCruncher tool to see if it’s the best card for how you spend for your business—it’ll analyze your expenditures to find the card that gives you the most rewards. If you’re still eyeing the CitiBusiness AAdvantage Platinum Select World Mastercard, here’s what to know before you apply. Bottom Line: Should You Apply for the CitiBusiness AAdvantage Platinum Select World Mastercard? CitiBusiness AAdvantage Platinum Select World Mastercard Minimum Payment: The new balance, if it’s less than $25, or the greater of $25, 1% of the new balance, plus the current statement’s interest charges or minimum interest charges, plus late fees, or 1.5% of the new balance, rounded to the nearest dollar amount. Here are some reasons to consider the CitiBusiness AAdvantage Platinum Select World Mastercard for your business. Every time you fly American, you’ll get your first checked bag free—that’s a savings of $30 per bag, each way. That applies for you and up to four travel companions. You’ll also get preferred boarding, and a 25% discount on in-flight Wi-Fi on every flight. If you spend $30,000 or more on the card in a year, you’ll even get a companion certificate worth $99 plus taxes and fees. If you can get that every year, it more than offsets the cost of the annual fee. The card offers a bonus of 70,000 American Airlines AAdvantage® miles, which you can use to get a couple of main cabin flights or one first-class flight in the U.S. You’ll also earn 2X miles per dollar on eligible American Airlines purchases and at telecommunications merchants, cable and satellite providers, car rental merchants and at gas stations, plus 1X mile per dollar on everything else. If you’re not sure whether you want a card with an annual fee, you’ll get a whole year to decide. Here are some reasons why the CitiBusiness AAdvantage Platinum Select World Mastercard might not be a good fit for you. Free flights are nice, but if you rarely fly or aren’t necessarily loyal to American Airlines, it doesn’t make much sense to get this card. It can also be difficult to find direct award flights on AA, so take that into consideration if you aren’t already a loyal AA customer. The card’s annual fee of $0 the first year, then $99 can be a problem if you don’t fly enough or don’t spend enough to make up for it. If you’re on the fence about the CitiBusiness AAdvantage Platinum Select World Mastercard, here are some other cards to consider. 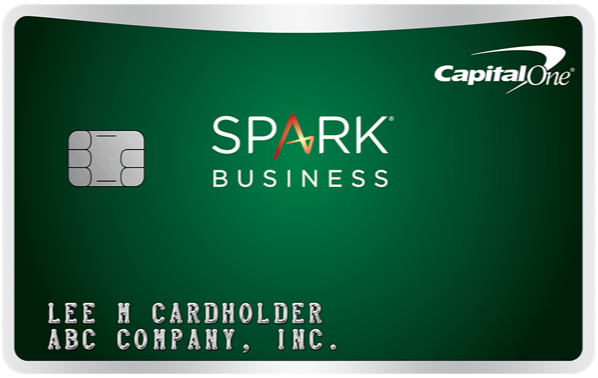 The Capital One® Spark® Miles for Business offers 2 miles per dollar on every purchase, plus a sign-up bonus of 50,000 miles after you spend $4,500 in the first three months. The kicker is that when it comes to redeeming your rewards, you can cash in on just about any travel purchase. Alternatively, you can transfer your miles to one of Capital One’s airline partners. The card’s annual fee is also just $0 the first year, then $95, so you’ve got time to decide if you’re making the most of your miles. 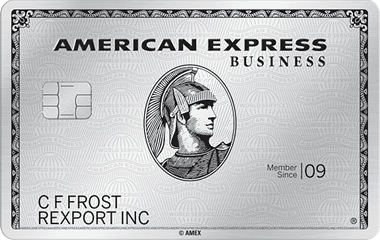 If you’re big on maximizing your rewards, look no further than the Ink Business℠ Preferred Credit Card. The card offers a sign-up bonus of 80,000 points after you spend $5,000 in the first three months—that’s worth $1,000 in travel when you book through Chase, or potentially more when you transfer points to one of Chase’s travel partners. Here are other common questions we’ve come across about the CitiBusiness AAdvantage Platinum Select World Mastercard, along with their answers. If you meet the $30,000 spending requirement and keep your account open for at least 45 days beyond your anniversary date, you’ll receive the companion certificate within eight to 10 weeks. It’s valid for one year from the date of issuance. Do others on my reservation get a free checked bag? You and up to four other people on your itinerary will get their first bag checked for free. If you travel a lot with family, the CitiBusiness AAdvantage Platinum Select World Mastercard could provide a lot of savings. 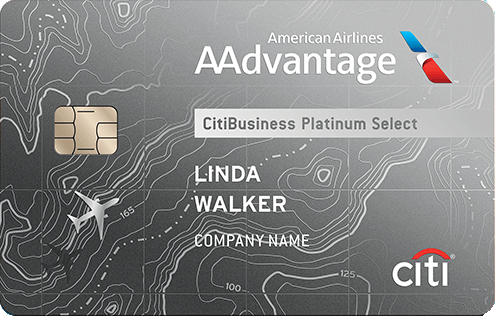 It makes sense to have the CitiBusiness AAdvantage Platinum Select World Mastercard if you fly American Airlines regularly and are especially loyal. If that’s not the case, the card’s rewards are likely too inflexible for your needs, and its perks may end up being useless. In that case, give the CardCruncher tool a spin to find the card that makes the most sense for you. Don't see what you're looking for? Ask a question here about CitiBusiness AAdvantage Platinum Select Credit Card Review: Valuable Perks for Frequent AA Flyers and one of our experts will get back to you.